This is just massive. Lovely autumnal feeling, great wistful music, fantastic effects, awesome graphics all around. One of my favorite C64 demos ever. Had some very beautiful moments and made me forget I watching a C64 demo at times. Most original design and effect ideas I have seen in a C64 demo. This is just beautiful, this is massive. You can't go wrong with any of it's parts! Excellent graphics, great music and some really nice effects. 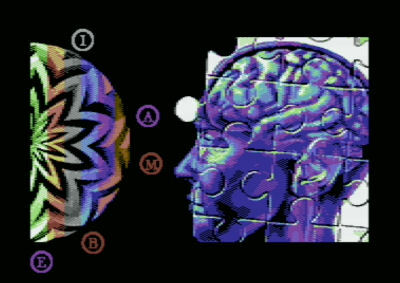 Also the most beautiful "turn disk" part I sever saw in a C64 demo. Totally bloody awesome, just excellent work from hitmen. I just love it! This is why I still love my c64. Totally outstanding and different prod, all those beautiful graphics, and ideas, you can feel the devotion that went into this. rulez added on the 2012-10-28 12:46:45 by w00t! Absolutely beautiful demo with even more astonishing soundtrack, the SID was made for soundtracks like this. so much great art and THAT MUSIC!! WOW! i am out of words! excellent job there! rulez added on the 2012-10-28 14:23:06 by ɧ4ɾɗվ. Hitmen hit the spot. A shitload of beautiful graphics, combiled with effects and music that make this a trip you can enjoy way more than once. Excellent work! Some scenes are a bit too classical but overall it's a great demo. very nice demo, music, gfx, everything. thumb up just for the jewish rain and poledancing cobra! Very nice, but a bit uneventful and lengthy. Music is the highlight for me. It's a good one, but it was dragging its feet quite a bit. I wish that at least the music would be a bit more upbeat and less lethargic. The flower scene is so nice. A bit on the long side/slow side, but plenty of things to like. Flowers part is just Wow. This demo should have been named Arthrosis! There is so much midlife crisis in here ;) But that's the way... the scener is getting older. Decent show and nice effects. By the way, the wings were on the breast of the man, didn't they? Holy jumping jack, the credits part just floored me. All the attention to those little, yet important details make it a through and through finished piece of art. holy crap! This is great! Overwhelming amount of GFX and excellent mood created by the tune. The bad weeds growing big part is my favourite. rulez added on the 2012-10-29 11:45:55 by JAC! Beautifull work with very interesting ideas most of the time. Some times a bit boring though. Music is relaxing but somewhat too repetitive, theme change would have been appreciated. Different in a good way.. The most uniquely styled demo I have seen for a long time! And it keeps the style all the way! Some stunning parts in there! very impressive visuals and awesome soundtrack! Absolutely amazing! The music feels a bit too simple. A lot of good entries at X it seems. What a powerful demo. Hitmen just rulez! Great music, graphics and effects. And a lot of art not just effects. Every part of the demo rocks and is made with "C64-love". My favourite demo of the year! Hitmen - you are gods !!!!! Music was a bit so so overall, but I just love the movement all over the demo! nice! very oldschool but original, and wildly so in some parts. great attention to detail. it's just so hard to explain why this demo leaves such a good impression. to me it feels like being up in the attic again, with only your home computer to keep you company, totally immersed in this world of wonders. fantastic! keep up the good work. twister, flower-part, moving z-rasterbars, cycling part, flames. good and unique demo style. Well, this demo brings something strange. The music is not my cup of tea. Or coffee, since i don't drink tea. Yeah, that'd fit better. So let's say it's my cup of tea. The graphics, though, are awesome. Except for some stuff here and there that could have been done definitely better. The demo itself is boring. Why that 567minutes long parallax thingie at 4:20? This made me go to youtube to get to the next scene. Seriously. And it's really a pity. Yeah, you should first learn how C64 demos work :) Flip the disk and off you go. iks: its the "turn disk part"... (look up the gfx at the top). the guy recording the intro seemed to like it and recorded it for a while. usualy you can leave the part within seconds if you want. My bad. Didn't think of that. Put it on weed. a big surprise of X'2012! very good and fresh stuff. I love the intro.. and also the part where we see flower blooming... It's a great demo and I wonder if a demo like that back on the C64 launch... how would people would react seeing this cheap computer doing that? so good! I haven't seen a c64 demo like this for a long time. Seamless transitions, attention to detail, atmosphere and direction. right up there with ASD and neuro as a master example of this genre. great stuff. Deepest respect for this is absolutely gorgeous. The tune carries it through and the new variations of old effects surprise you at every turn, but for me it is the undercurrent that matters most and the undercurrent is very strong here. Thank you. I don't do meloncoly but still this is a cracking demo on a cracking platform. Big Props! page created in 0.023542 seconds with 15 queries.